Chökyi Nyima Rinpoche at Lerab Ling, June 2008. Photo by Junker Burger. 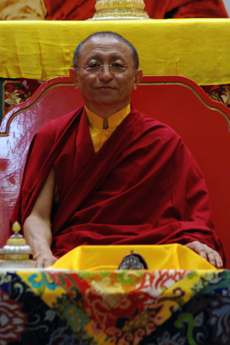 current 21:22, 23 June 2008 230 × 345 (131 KB) Petefry (talk | contribs) Chökyi Nyima Rinpoche at Lerab Ling, June 2008. Photo by Junker Burger. This page was last edited on 23 June 2008, at 21:22.